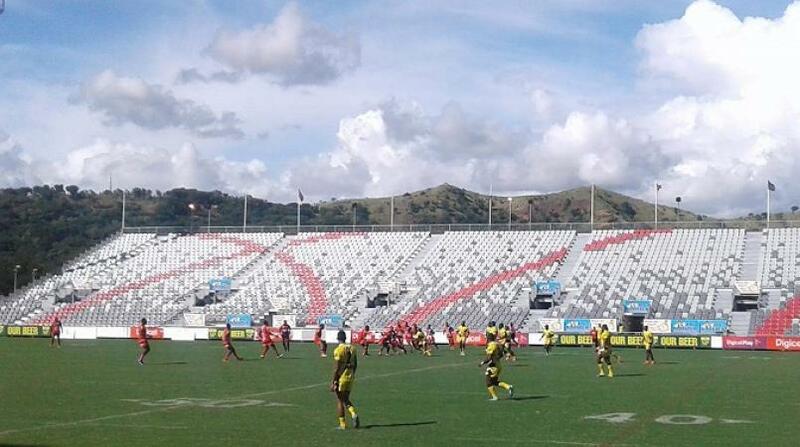 The Gulf Isapeas have kicked off the 2016 Digicel Cup season with a tight 18 – 16 win over the Port Moresby Vipers at the newly renovated National Football Stadium. The match was the first Digicel Cup game to be played at the former site of Lloyd Robinson Oval, drew a crowd of over 3,000 supporters. In a tight and see-sawing match, it was the Vipers who collected first points on the board, scoring after 10 minutes through Nicko Dom to give the home team a 4 – 0 lead. The Isapeas collected their first points via a Solomon Pokari penalty conversion in the 16th minute to half the Vipers lead, before a try to Port Moresby captain, Samuel Koim, saw the home team race out to a 10 – 2 lead thanks to a successful conversion by Quinton Ragi. Isapeas fought back with a successful converted try to get back within two to leave the score at 10 – 8 to the Vipers at half time. The visitors levelled the scores shortly after halftime with another Pokari penalty conversion, before Jojo Forova crossed for a try in the 49th minute to give the Isapea’s the lead for the first time. The Vipers fought back and levelled the game at 16-all in the 67th minute through a Koim try, but another penalty to the visitors in the 75th minute allowed Pokari to kick the Isapea’s to victory. In other results Mt Hagen Eagles defeated Waghi Tumbe 14-10 at Rabiamul Oval in Mt Hagen, Simbu Lions lost to Hela Wigmen 42-12 and Mendi Muruks lost to Goroka Lahanis 20 in Mendi whilst Rabaul Gurias beat Enga Mioks 6-2 at Kalabond Oval in Kokopo.